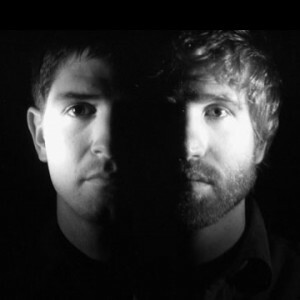 from original recordings made by The Noble Three. Gerald’s ukulele was added in his own studio in Ann Arbor, Michigan. "Paperback Writer" was the last new song that The Beatles played on their last tour. The lads were sick of touring at this point and they knew “The Big Change” was coming. Goofy smiles, endless touring, hotels, screaming fans, matching suits, harmonicas and writing catchy songs about teenage love. Taking themselves seriously, getting a studio tan, sleeping in their own beds, wives, facial hair, orchestras and writing catchy songs about submarines, doctors, rain, universal love and BOOKS! Every single that The Beatles had released up to this point had been about “Young Love”. Lots of it. Hand-holding love, wondering about love, asking for love, begging for it, rejecting it, regretting it. One of Paul’s aunts asked him if he ever wrote songs that were not about love. Paul walked around the room, picked up a book and announced that he would write a song about that. Clever Paul. Bit smug but clever. The lyric tells the story of a writer who writes a 1000 page novel about a man who is writing a novel based on a novel written about someone writing a novel. But the lyric is really all about young, male, testosterone-fueled hunger for success. The song’s protagonist will do anything for that big break. Do you want more? Do you want less? I can do it. Sure I’ll do anything, just give me that big break. I want it now. NOW! NOW NOW! From the beginning of their career The Beatles had this raw drive, determination and ambition in spades. When they started out they wanted to be the best band in Liverpool. When that was achieved they beat off The Rolling Stones to be “The Biggest Band In Britain”. Then they looked west to conquer the Americas. Next on their list: Elvis. 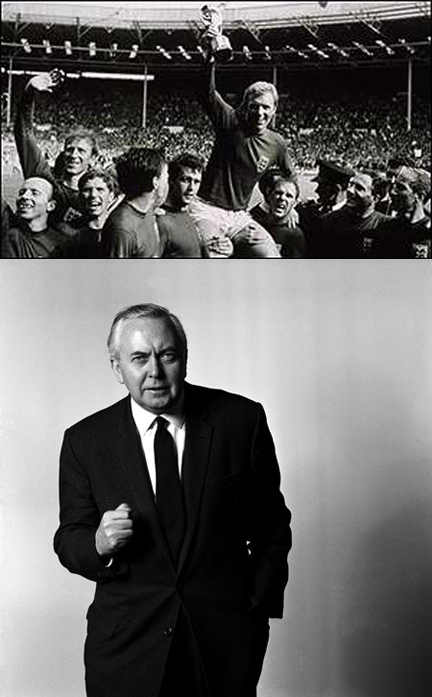 By 1966 they had all but eclipsed The King. This relentless ambition only waned after the collapse of Apple Corp in 1970, which coincided with most of the band turning or approaching 30. But that was all in an unwritten future. In Britain in 1966 for The Beatles, everything was possible. The boring old avuncular characters that had led The Conservative Party to defeat had gone to their country houses to lick their wounds. The new Prime Minister (working class, socialist, Yorkshire-man) Harold Wilson had recently made his speech about "the white heat of the technological revolution" that would lead Britain to a bright new future, the austerity of the post-war years was disappearing and Bobby Moore had just led England to win The World Cup. You can feel that confident energy pulsing thought the backing track. Super tight bass/drum/guitar. Effortless creation of energy. Just like the nuclear fuel that was going to make our future bright, clean and efficient. The song opens acappella, like “Nowhere Man”. The difference being that in this instance it is an intrinsic part of the arrangement. I hate how on “Nowhere Man” you can hear the backing track being punched in on the mix. The vocal parts are not as tight as the track.The phrasing is raggedly but the tuning is not. Personally I like this roughness. It has a “live” feel about it that suits the song. "Paperback Writer" was recorded on the same session as “Rain”. Both songs featured a new bass sound. Teenage engineer Geoff Emerick came up with a new way to record the bass by using a loudspeaker as a microphone. The loudspeaker/microphone positioned directly in front of the bass amp and the moving diaphragm of the second speaker made the electric current. No one had ever done this before. Emerick was 19 and he was able to think about the studio in a very different way to any of the older engineers at Abbey Road. Nowadays Someone like Emerick would have to do three or four years in college and another two being an intern before he got a shot at the studio. By the time he would have made it to be an engineer all of the originality would have been taught out of him. He would have been not much more than a piece of machinery himself. 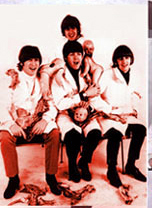 In Britain the single had the infamous "butcher art” cover, showing the Beatles with raw meat and decapitated baby dolls tossed about. (Move over Lady Gaga). A couple of years later the very great but very bonkers composer and conductor Leonard Bernstein was trying to figure out the meanings of some of the lyrics to the Beatles. One of songs he examined was Paperback Writer. He claimed that Lennon and McCartney wrote it as a metaphor for prostitution, literally and figuratively. The Ukulele version of “Paperback Writer” radiates a very different type of energy to the original. Our version skips along not caring where it finally ends up. This paperback writer probably won’t ever finish his book, but he doesn’t care. He’s too busy enjoying the moment. The Beatles propelled by Paul’s almost violent bass-line tears along like a stolen car. On our version there is no bass to hold down the song. It shimmers, it floats. The recording was completed in an unusual way. Patrick Rickleton and Tres Crow sent their version of the song from Tennessee which sounded pretty great to me. I asked for the individual parts of the song so I could add ukulele and mix. I sat ukulele in hand for a bit and was stumped. I put it on the back burner for a while then I remembered ukulele maestro Gerald Ross. Gerald is a master of the instrument. I sent him the track in Ann Arbor and he came up with a perfect delicate accompaniment, for which I am very grateful. I was about to mix it all together when my friend and cellist Nathan Macormack dropped by and added the sweetest cello part to finish off the arrangement. As far as I know Gerald, Nathan and The Noble Three have never met so I am glad to introduce them to each other here. Noble Three is the brain child of Patrick Rickelton (Neulore and prattle on, rick.) and Tres Crow who use the ironically titled musical front as an excuse to get together every 27th fortnight and rattle a tambourine or strum a fiddle. As of late they’ve been more like Nessie than a sea turtle, but like that famous crypto-zootic Scottish tourist they are apt to pop up in the strangest places…this blog for one. There’s nothing all that special about it really. They like each other and they like making music together so that’s, like, what they do when they get the chance. Also, occasionally they drink tea in Patrick’s backyard and talk about stuff. Tres likes peanut butter and jelly sandwiches.